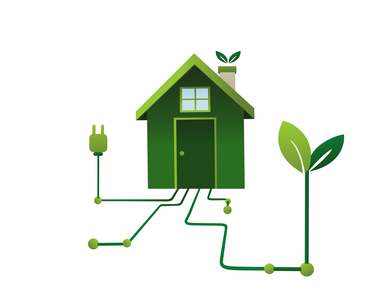 You have probably heard a lot about how to increase your home’s energy efficiency. You already understand that you should minimize your use of your furnace and air conditioner, and turn off the lights when you leave a room, but you may not know that the most effective way to identify problems with your energy usage is through a home energy audit. With a home energy audit, you get the detail you need to make educated decisions about improving your home’s HVAC system for peak efficiency. as well as the exterior walls of the home. This complicated assessment gives a professional contractor the information they need to make recommendations to you about your HVAC system and energy usage. It is the action that you take based on the home energy audit itself that saves you money and energy consumption over time. After your audit is complete, you learn about the areas in your home that are using energy efficiently, and regions that need upgrades or repairs. Many people who have old furnaces or air conditioners could really benefit from purchasing new, more-efficient equipment. However, energy efficiency does not stop with machinery. The home itself provides a guarantee against heat transfer, the movement of heat from one location to another. Home energy audits tell your contractor if your insulation is performing well, if your ductwork requires repair, and if your home’s exterior has air leaks that need sealing. With your approval, a professional can use the information they gain from your home energy audit to solve your biggest energy problems, leaving you with an energy-efficient home. Once your home energy audit is done, you will know exactly what to do to lower your energy bills and improve the comfort of your home. When you take action based on your audit, you save money and increase the lifespan of your HVAC equipment.